Local media in Taiwan are reporting that Royal Caribbean plans to propose a development plan for the port of Penghu Jinlongtou, which could be a new homeport in Asia for the cruise line. SinoShip News reports Taiwan minister of Transportation and Communications, Yeh Kuang-shih, has instructed Taiwan International Ports Corporation (TIPC) to coordinate with Royal Caribbean on the investment plan. 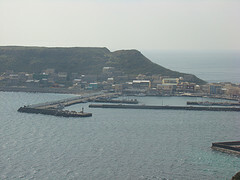 Jinlongtou port currently belongs to the Taiwanese navy, and the navy has agreed to hand over the port and transfer its base to another port. Royal Caribbean is expected to propose a development plan by the end of January.